Check out how the Finger Lakes Eat Smart New York’s “What’s Your Move?” campaign is helping families find more ways to be active! 4-H Steuben County and Finger Lakes Eat Smart New York team up to offer Cooking Matters for Families, a six-week program that emphasizes cooking healthy affordable meals. See page 22 for more info on the class, or to call for more information. Finger Lakes Eat Smart New York wins award! The Finger Lakes Eat Smart New York (FLESNY) team won the Team Excellence Award for 2018 awarded by the Lambda Chapter (New York) of Epsilon Sigma Phi. This award recognizes cooperative efforts on the part of a team to help solve a problem of major importance to society, with comprehensive planning and utilization of total Extension resources. FLESNY was selected for their outstanding efforts to improve the health & wellness of Finger Lakes residents through SNAP-Education. Finger Lakes Eat Smart New York CATCH is featured on the national CATCH website! Finger Lakes Eat Smart New York CATCH was featured on the national CATCH website! Making small healthy changes in the New Year. Jon Sterlace, Nutrition Educator, is interviewed on WVIN radio, and discusses healthy eating, and how to make small healthy changes in the New Year. Healthi Kids named Finger Lakes Eat Smart New York a Healthy Schools Champion. This group of nutrition and physical activity educators has spent many hours sharing their knowledge in fun and experimental ways. They work in the Rochester City School District schools and schools across the Finger Lakes. They have partnered with Healthi Kids to eliminate unhealthy marketing to students and create healthy nutrition environments in schools. How do you get kids to try new vegetables? Let kids shop for vegetables of their own choosing! Fresh herbs at your fingertips can mean less salt in your diet. Need to cut salt in your food? Use fresh herbs to add flavor instead! Ontario County Public Health is excited to pilot a new healthy food drive initiative called Nourish Your Neighbor (NYN). Learn how to interpret expiration dates on food products! Learn how to cook healthy delicious meals from food pantry foods. Cornell Cooperative and GST BOCES Celebrate "Farm to School" Grant with our school! On Friday, March 23rd, Campbell-Savona elementary students celebrated agriculture with a farm fair event and local food tastings in our cafeteria. Students at Campbell Savona Elementary School learn about local farmers and sample foods they provide to their school lunch program. Try these tips to take control of your heart health! Have you made a resolution to eat healthier? How is it going? Follow these tips to create an eating style that can improve your health now and in the future. When your kids come home hungry after school, try these healthy snack ideas! Summer is here: How to quench thirst without adding calories? Try these tips for quenching your thirst on a hot summer day! Students plant and nurture vegetables at Booker T. Washington Community Center garden. An article published in the Finger Lakes Times describes the unveiling of a new community garden at Penn Yan Elementary School. The Town of Corning held a commemoration ceremony Saturday afternoon, June 10, to dedicate its community gardens project to longtime town resident Kate Danforth. Newfield High School students recently constructed a greenhouse at the school. The hope is to be able to raise vegetables most of the year and use the vegetables in the school lunch program. Vegetables harvested in the summer months are donated to the Newfield Food Pantry. The Seymour Library in Auburn teamed up with Cornell Cooperative Extension of Cayuga County to Celebrate Earth Day. Working with Nutrition Community Educator Becky Crawford, families planted seeds to grow flowers, beans, tomatoes and carrots. As library staff Jill Hand said: "I thought this would be a good opportunity for (children) to know that planting trees and plants and all that kind of thing help(s) the environment and celebrate(s) Earth Day a little bit at the library." Sarah Hess, Registered Dietitian, shares resources to help you achieve your healthy eating goals during National Nutrition Month, and all year long. Sarah Hess, Registered Dietitian, discusses ways to reduce your risk for heart disease. Midday Makeovers-Make small shifts for eating healthier in the New Year. Sarah Hess, Registered Dietitian, discusses small shifts you can make to eat healthier in the New Year. The Finger Lakes Eat Smart New York School Gardens Program is helping kids from Newfield to Rochester make better food choices through nutrition, health and gardening education. Finger Lakes Eat Smart New York nutritionist teams up NFL champion Roland Williams, to teach Rochester kids to eat like a champion. CATCH (Coordinated Approach To Child Health) is a school-based health program designed to promote physical activity and healthy food choices. CATCH transforms a child’s environment by coordinating child health efforts across all aspects of the educational experience: classroom, food services, physical education, and family. Finger Lakes Eat Smart New York (FLESNY) is bringing this opportunity to elementary schools in our area that are interested in taking the next step in making school environments places where students learn and practice healthy food choices and have daily opportunities to be physically active. FLESNY has funding to hire the CATCH Global Foundation to sponsor this two-day training in 2017 for teams of 3 to 4 from eligible elementary schools, provide support in CATCH implementation once the training is completed, stipend to cover the cost of substitute teachers and travel to the training, and purchase of CATCH resources. Find out if your school is eligible for this excellent opportunity! October is National Farm to School Month, a time to celebrate connections happening all over the country between schools and local food! Farm to school enriches the connection communities have with fresh, healthy food and local food producers by changing food purchasing and education practices at schools and early care and education settings. 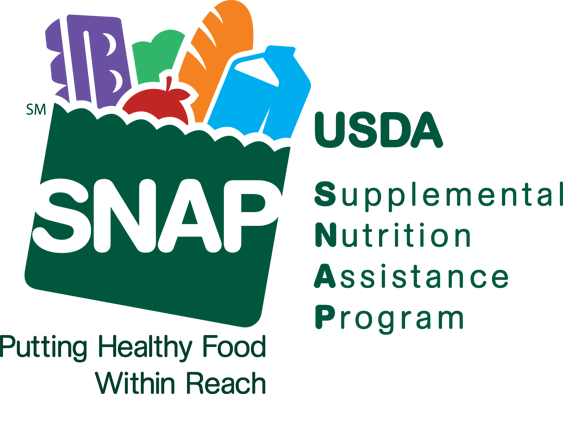 The 2016 National Farm to School Month theme, One Small Step, will highlight the simple ways anyone can get informed, get involved and take action to advance farm to school in their own communities and across the country. Learn more about National Farm to School Month, how you can get involved, and sign the One Small Step pledge by visiting the National Farm to School Network’s website, farmtoschool.org. As kids start back to school, it’s time to think about how they will stay active and healthy during the school year. Try some of these tips to fit physical activity into a kid’s busy school day! Use these strategies to ensure your on-the-go meals, snacks and beverages provide the nutrition you need for a healthy and active summer! Check us out on WENY's Midday Makeover with 3 quick tips to keep a healthy diet this summer! Check out the first edition of the Food Bank of the Southern Tier's newsletter! What's the secret to adding more vegetables to your diet? Let Lara show you how! Hear all about Foodlink's Curbside Market, and other news. Looking for new school lunch ideas? Try some of these! AUBURN — Six-year-old Taya Reed wore a bright red apron and stood up against the kitchen counter of the Brogan Manor Community Hall Wednesday evening, using her hands to mix the oat portion of an apple crisp recipe. "How are we doing?" called Becky Crawford, a community nutrition educator at Cornell Cooperative Extension, from the other side of the kitchen. Would you like to increase EBT redemption at your market? Would you like help marketing your EBT and have your very own Eat Smart NY nutritionist attend your market days? Finger Lakes Eat Smart New York is looking for 3-5 markets within the Finger Lakes who would like to participate in their farmer’s market project, which would help increase sales through EBT redemption. Last year, more than 100,000 people committed to preparing and eating a healthy meal together on December 3. This year, we'd like to help double those results! Click "read more" to commit to "Dining In" for your family or on behalf of a class or other community group. Individuals who complete the form and provide contact info will be eligible for weekly prize drawings! If you’re between the ages of 10-25 years, Share Our Strenth's No Kid Hungry Campaign wants to learn more about how to involve you in the fight to end child hunger. One lucky respondent will be selected to win a $100 Citi gift card. Read more to access the short survey. On and around Food Day 2015, millions of people around the country will crunch into an apple in a unifying action to raise awareness about eating better diets for our health and the environment, access and affordability of fruits and vegetables, and supporting local farmers. Hundreds of thousands of school students will crunch into an apple at lunch time, joined by Americans at public Food Day events, in corporate cafeterias, and at home. Search Events for Finger Lakes Eat Smart New York Food Day events near you. Finger Lakes Eat Smart New York Senior Nutritionist, Larkin Posiedlik, talks about our free programs that address three big goals: eat more fruits and vegetables, drink fewer sweetened beverages and exercise more and balance calories as part of a healthy lifestyle.